Sukanto Tanoto is a firm believer in education. The self-proclaimed lifelong leaner is mostly known as the founder and chairman of RGE, which manages companies such as APRIL, Sateri and Pacific Oil and Gas. Less know about his difficult beginnings; he was forced to give up his education when he was seventeen, to take over his family’s business. It remains a big regret of the billionaire entrepreneur, whose companies collectively employ 60,000 people and own assets worth US$18 billion. His inability to complete his education shaped his passion for philanthropy, and he has been actively within it. Through Tanoto Foundation, which he founded with his wife Tinah Bingei Tanoto, he sought to educate, empower, and enhance the quality of lives of the unfortunate. Sukanto Tanoto knows that education has and always will be a driver of change, and is fully behind any intiative to promote it. A good education is important, but often out of reach for the poor. Often, children suffer the same fate Sukanto Tanoto experienced, in having an education cut short. It is an experience he is determined to prevent anyone else from suffering. To this end, Tanoto Foundation most recently conducted reading programes from their Pelita Pustaka initiative for the children of SDN 013 Simpang Sigaruntung. The event was organised in conjunction with PT RAPP, APRIL’s Indonesian subsidiary. The programme aimed to introduce reading as a passion to children early, in the hope that they may develop the passion for reading early. This time round, thousands of books were distributed to schools in the Inuman-Cerenti sub-district. 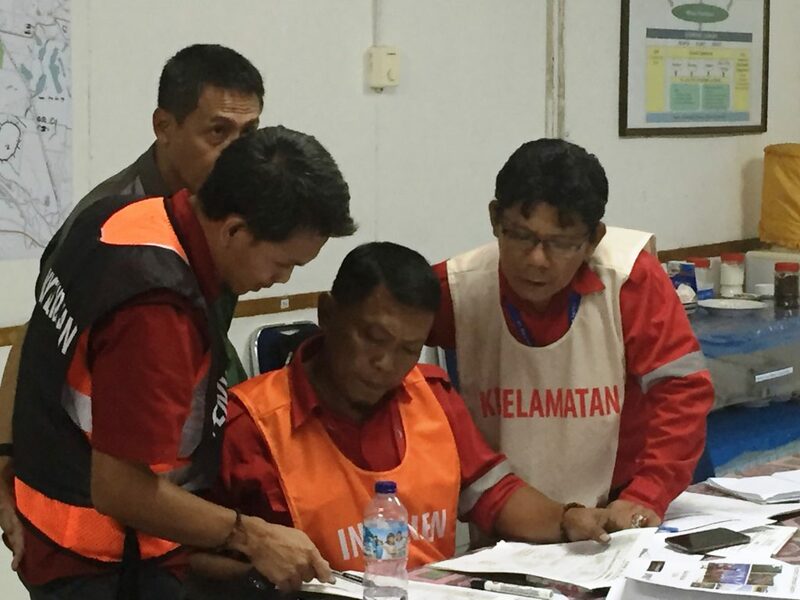 The aid of organisations like Sukanto Tanoto’s APRIL and Tanoto Foundation remain all the more important. In a world where companies are allowed to become bigger and bigger, they retain their social license to operate only by fulfilling their duty to the communities they operate in. It is therefore heartening to see businessmen like Sukanto Tanoto who still believe in doing the right thing. The 68 year old strongly believes in doing good for the Community, Country, Climate, Customer, and Company, something he calls the 5Cs. Thankfully, it is something he insists all his companies do to. Sukanto Tanoto is a man who wears many hats. He is a dedicated family man, a caring boss, a passionate philanthropist, and a firm believer in community development. Some might even say that he could double up as a part-time philosopher. Yet people more often know him as the charismatic chairman and founder of RGE, the global natural resource giant. It’s not hard to see why. RGE is truly an empire; it manages several other big names in the industry such as APRIL, Sateri, and Pacific Oil and Gas – the companies collectively employ 60,000 people and own assets worth over USD 18 billion. That Sukanto Tanoto built all this in just 50 years, only affirms his legend amongst those in the know. More impressive than his staggering success, however, is his principle-based approach throughout. The billionaire entrepreneur espouses the 5Cs: creating good for the Community, Country, Climate, Customer, and Company. It is a philosophy of creating shared value, one that Sukanto Tanoto firmly insists on. And his companies have taken heed too, with many community development initiatives sprouting up as a result. Consequently, individuals and communities have benefitted from Sukanto Tanoto’s philosophy – one such example is Husni Thamrin. Today Husni is a successful businessman who runs PT Nilo Engineering, a heavy equipment and truck rental company, with his wife Rohani. His company is a relative behemoth in the local area, with assets totalling Rp 100 billion. While he may have success today, it wasn’t all rosy for Husni. The 37 year-old first joined APRIL’s Community Development programme in 2001, with only his father’s truck to kickstart a garbage transportation company. As a result of the structured approach used by Sukanto Tanoto’s APRIL in the Community Development Programme, Husni received both training as well as avenues to beef up the economic resources available for him to beef up his business. In addition to his natural savviness for business, it was only a matter of time before Husni would take off. 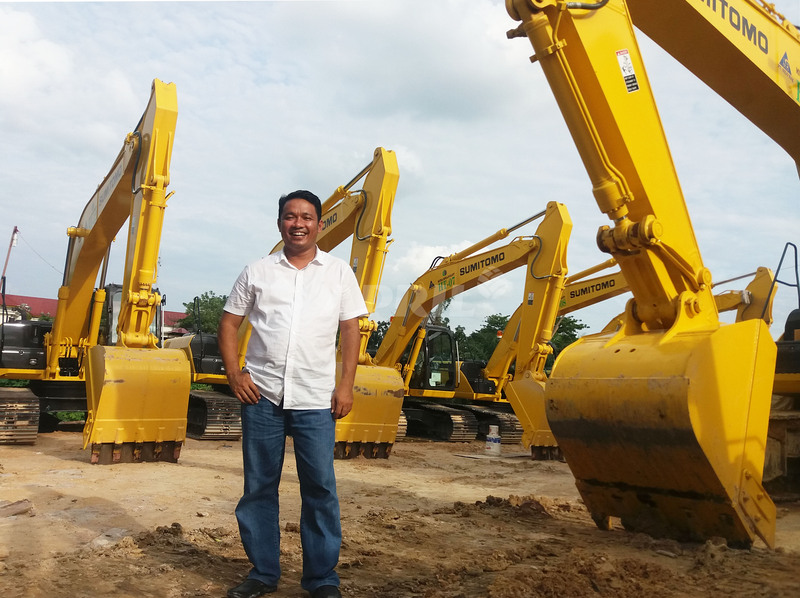 Today, Husni’s fleet includes 30 heavy equipment and 25 trucks, all of which are rented by PT RAPP, APRIL’s Indonesian subsidiary. He is thankful for the Community Development Programme, for having nurtured many other entrepreneurs like him. Sukanto Tanoto’s resource-manufacturing empire has proven time and again it can handle the balancing act between profits and sustainability. With over 18 billion dollars worth of assets and 60,000 employees, few companies are its equal. Sukanto Tanoto is the chairman of RGE, which manages some of the biggest names in the resource industry like APRIL, Sateri, and Pacific Oil and Gas. With 50 years of experience in the industry, it seems the experienced businessman has found the secret formula to maintaining a balance between the climate and the profits. Indeed, it is an idea so vital to Sukanto Tanoto’s success that he has it as part of his business philosophy. The 5Cs, ubiquitous throughout all his businesses, focus on creating good for the Community, Country, Climate, Customer, and Company. Sukanto Tanoto has made it an integral part of his operations, and made it the compass by which every decision is made. It is an arrangement that has created much good for his companies, with his companies now becoming lauded for their conservation and protection efforts. Most recently, Asia Symbol employees took part in the 46th ‘World Environment Day’ held in ShanDong, Rizhao. The event, organised by multiple government agencies in the region, celebrated the environment through various activities. Most noticeably, the event presented awards to 15 Asia Symbol employees in the category for ‘Excellent Environmental Protection Volunteers in Dong Gang District in 2016’. Chairman of the Asia Symbol Volunteer Association, Zhou WenLong, was on hand to speak about the need to continue caring for the environment, and building a beautiful home.